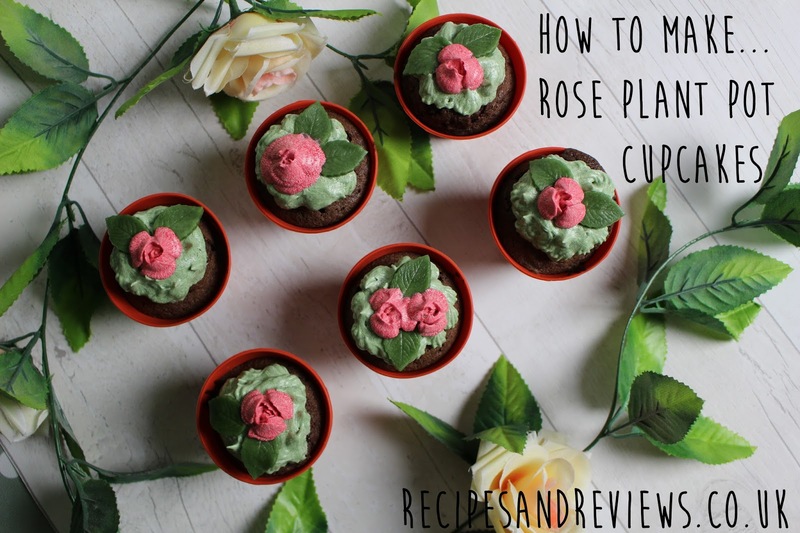 Emily's Recipes and Reviews | UK Food Blog | Leicestershire : rose buttercream plant pot cupcakes. With February as the month of luuurve, I thought I'd try my had at some Valentine's inspired recipes. I recently bought this rose shape nozzle which I just couldn't wait to try out. So simple to use with lots of different flower shaped nozzles too! I don't know about you, but I'd sooner have 12 flower pot cupcakes than a dozen roses? ♥ Food colour of your choice plus the rose shaped nozzle. Step one. To make the cupcakes, began by beating the butter and sugar together. Mix in the eggs and lastly the flour and coca powder. Step two. Divide between your cupcake cases or plant pot moulds. Bake for 12-15 minutes (for larger sizes) until a skewer comes out clean when inserted into the centre of your cupcake. Allow to complete cool before decorating. Step three. Whip together your icing and butter for the buttercream. I personally like to use my KitchenAid balloon whisk attachment on a high speed for this. I then flavoured my buttercream with a dash of espresso which went well with the chocolate sponge - totally up to you if you want to flavour it but you may need an extra 10g of icing sugar to compensate for the extra liquid. Step four. Separate the buttercream and colour green and pink. Here I used spruce green and a drop of scarlet red which I find is more of a dark pink. Step five. Use a star or grass nozzle to pipe out the green "grass" on to your cupcake. Step six. Add on your green marzipan leaves, which can be made ahead if need be. Step seven. Lastly, pipe out your rose shapes using the nozzle. Ta da! Have you ever tried any of the floral icing nozzles or plant pot cupcake cases? 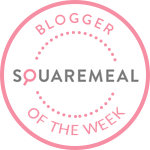 I'd love to see your recipes! Will you be baking your way to someone's heart this Valentine's Day? 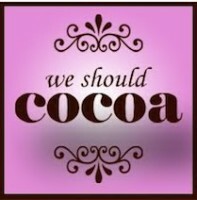 I'm adding this recipe to the We Should Cocoa round up from Choclette at Tin & Thyme with the theme of butter! Oh, how very clever Emily. Really love these cupcakes and they'd be great for gardening types too. Would fit in well with this month's We Should Cocoa, if you fancied joining in. Wow. These are amazing cupcakes. Love to use them on my wedding desserts. Thanks for sharing dear. What a fab idea! I'll have to give these a try. Buttercream icing is likely the most well known cake designing fixing. It is light and cushioned, and with an unassuming measure of practice is anything but difficult to use with essential kitchen apparatuses, a decorator's sack, and an assortment of tips. Taking after are ten fundamental buttercream cake finishing tips. This is great information. I learned a lot here. In the event that you want to adorn cakes yet aren't exactly certain how to energize your manifestations, look no further! Buttercream roses are a delightful expansion to any cake and will make you resemble an expert whether you're a tenderfoot or a specialist. Aww, these looked lovely! Very cute giveaway especially for friends who loves gardening!